Eric was born and raised in Raleigh, North Carolina. 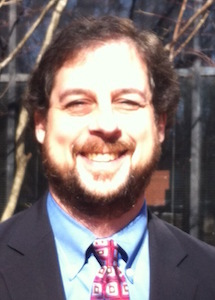 After working for the North Carolina Sentencing and Policy Advisory Commission and the Research Division of the Administrative Office of the Courts, Eric joined the staff of the Public Defender’s Office in Greensboro in February 1999. As an assistant public defender, Eric practiced exclusively in juvenile delinquency court and involuntary commitment court. Eric was appointed state Juvenile Defender by the Indigent Defense Services Commission in November 2004 and has served since then. The mission of the Office of the Juvenile Defender is to provide services and support to defense attorneys, to evaluate and improve the system of representation, to elevate the stature of juvenile delinquency representation, and to work with other juvenile justice actors to promote positive change in the juvenile justice system. Eric served as Director of the Southern Juvenile Defender Center from September 2010 through September 2014, providing resources and support for juvenile defenders in seven southeastern states. In 2013 Eric was among the first class board certified by the North Carolina State Bar as a specialist in criminal law- juvenile delinquency. Eric received the Robert E. Shepard Award for Excellence in Juvenile Defense from the National Juvenile Defender Center in October 2013. Eric lives in Raleigh with his wife Becky and two daughters Rachel and Camille.